Your blood contains red blood cells (RBC), white blood cells (WBC), and platelets. Blood count tests measure the number and types of cells in your blood. This helps doctors check on your overall health. 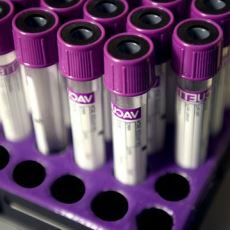 The tests can also help to diagnose diseases and conditions such as anemia, infections, clotting problems, blood cancers, and immune system disorders. The complete blood count (CBC) includes most or all of these. The CBC is one of the most common blood tests.